It is a fact of life that we must die. Preparing a Will is the best way to ensure that your assets are distributed according to your wishes after you die. Anyone over the age of 18 year and of sound mind can make a Will. It can be changed at any time and as often as you wish. After you die, JMW Legal can assist your executor appointed under your Will to administer your estate and distribute your assets to your beneficiaries. Your executor should be carefully chosen as the role of an executor can sometimes be demanding and time consuming. Whilst you are alive, there might come a time when you can no longer make decisions for yourself. Preparing an Enduring Power of Attorney allows you to appoint an attorney to act on your behalf for financial and/or health matters. You can appoint an attorney to act for you immediately or when you lose mental capacity for your financial matters. For health matters, your attorney will act on your behalf when you lose mental capacity. Your attorney must be someone you trust and over the age of 18 years. It cannot be your health care provider or a paid carer or a bankrupt. A General Power of Attorney can be prepared for “one off” matters. These types of appointments are usually used in business when one party is to be absent for a period of time and appoints an attorney to sign on his/her behalf. The appointment does not endure past mental incapacity. An Advanced Health Directive lets you state your wishes regarding your future health care for various medical conditions. The purpose of an Advanced Health Directive is to give you confidence that your wishes will be carried out if you cannot speak for yourself. However, a request for euthanasia would not be followed, as this would be in breach of the law. Anyone who is over eighteen years of age and is capable of understanding the nature of their directions and foreseeing the effects of those directions can make a Directive. The Directive only is effective if you have lost the capacity to make your own decisions. The Directive should be discussed with your doctor and your doctor must complete a Section of the form. Have you been appointed as Executor of a deceased estate and are not sure what you should do? Has a family member died without a Will and you are not sure what you should do? Has a family member died and you have not been left anything under the Will? 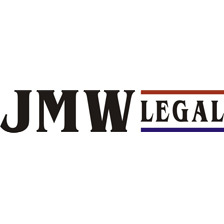 At JMW Legal, we will conduct the calling in of assets, payment of debts and distribution to beneficiaries for you. JMW Legal can arrange for the registration of property into a beneficiary’s name, prepare Probate documents for filing with the Supreme Court or arrange for Letters of Administration where there is no Will. JMW Legal can conduct court proceedings for family members that were not provided for by a deceased person. Contact JMW Legal for further information or to make an appointment.